Investigation of potential embolic sources is an important diagnostic step in managing patients with acute ischemic stroke or transient ischemic attack, especially when the mechanism is considered to be embolic. 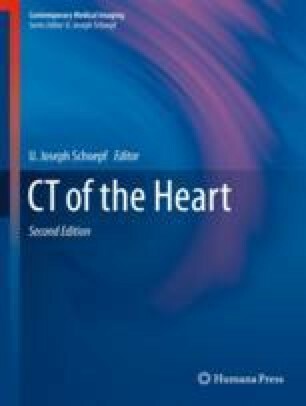 During the past decade, cardiac CT has been tested and compared with transesophageal echocardiography (TEE) for the diagnosis of cardioembolic sources. Many studies showed that cardiac CT is a very useful and powerful modality for the detection of cardioembolic sources in stroke patients. However, based on current evidence, cardiac CT is not recommended for the use in the initial evaluation of intracardiac structures in stroke patients. In addition, cardiac CT imaging has fundamental disadvantages including radiation dose and use of iodine contrast media. Continued technological advances requiring less contrast and ionizing radiation could increase the importance of cardiac CT in this field in the near future.